Currently we are working with over 100 non-profit organizations across the States and the volunteering positions cover a variety of field including events and stewarding, arts, briefing and mentoring, youth work, teaching, tutoring, supporting Learning, sports and coaching, charity etc. Hundreds of people are benefit from our programs every year but we are always willing to help more. Join us and let’s make a big difference together! 1.Can you give a brief introduction about your organization? 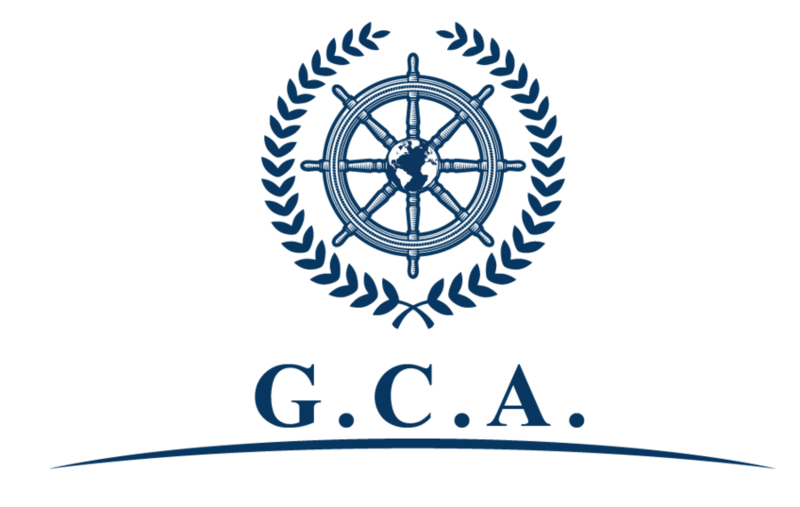 Global Cultural Adventurers, Inc (GCA) was founded in 2015, headquartered in Minneapolis, MN. Our mission is to help young people experience different cultures, step out of their countries to see the world, gain independence, and learn to contribute to the society. We are focusing on helping international students find volunteering opportunities in North America. All of our student volunteers know that helping out with even the smallest tasks can make a real difference to the lives of people and organizations in need. 2.What type of volunteer positions are you looking for? 3. What’s your students schedule? Ans: Most of our programs are short to medium term ranging from 4 weeks to 8 weeks. Due to the school schedules, the best time to start volunteering is either during their winter (Jan to March) or summer breaks (June to August). Our volunteers will commit around 20-40 hours per week with a schedule approximately between 9 a.m. to 5 p.m.
4. Will your students be able to volunteer without supervising? Ans: Yes, our students will be able to work at an unsupervised organization. But we prefer organizations that would assign a supervisor to our students. 5. What’s their English skills? Ans: All our students have been learning English for at least 6 years and are able to communicate at a working proficiency. We screen all our student’s English skills to make sure they are able to succeed in their volunteer positions. 6. What are your students’interests or what type of volunteering activities they are willing to be involved in? 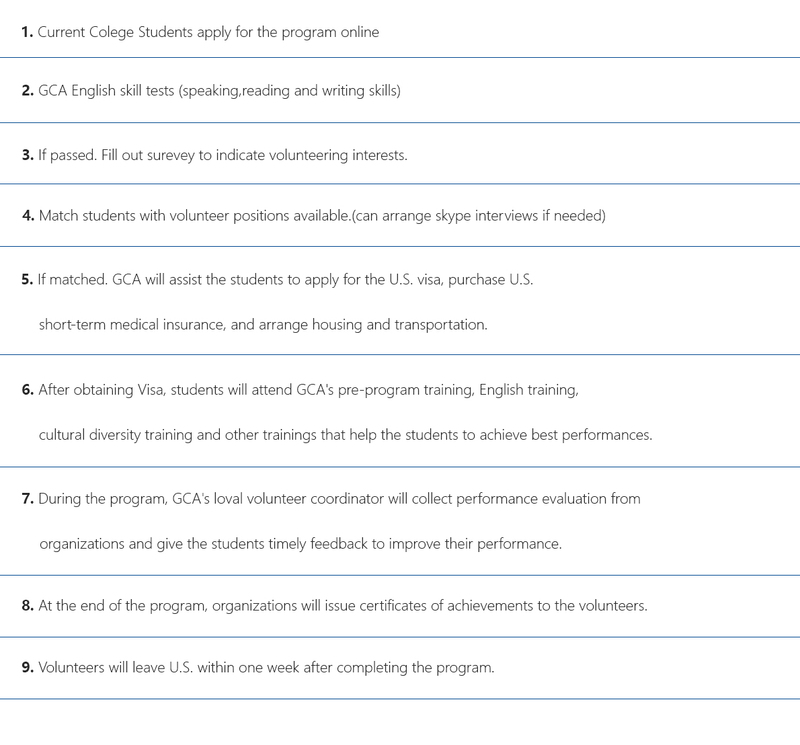 Ans: The volunteering activity varies depending on students’ own preferences. We are matching volunteering positions with students’ own interests and expertise. some students, are interested in office work, like entering/collecting data, sorting files, etc. For art major students, they may prefer to involve in artistic volunteering activities like painting a mural, designing brochures/flyers, organizing a fundraising event, etc. For students in the educational field, they would like to gain experiences in a classroom setting where they can interact with the students. 7. How many students can we have? Ans: We usually match one to five students to each non-profit organization at a time, but this depends on the open positions and volunteer work demand of your organization. 8. Would they be able to get a paper verifying that they do not have TB? This is required for all of our volunteers. Ans: Yes, we can ask students to provide a TB clearance form. 9. Do they have a picture ID? This is also required of all of our volunteers. Ans: Yes, they all have a passport with a valid picture ID. 10. Can we schedule an interview with the students? Ans: Yes. We can help schedule an Skype conversation between your organization and our students. It is always great to meet each other in advance.